In her short career, Mendez founded Tractenberg's multicultural group, won multiple awards, and moved up the ladder at two agencies. 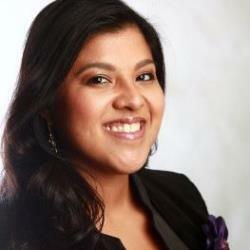 NEW YORK: Julie Mendez, associate VP at Tractenberg & Co. and board member at the New York chapter of the Hispanic Public Relations Association, passed away on Monday at the age of 33. She specialized in multicultural PR over the course of her career, founding the multicultural division of Tractenberg & Co. in 2013. In that role, she worked with and provided guidance for initiatives targeting Hispanic and black audiences. She began her PR career at Edelman, moving up the ranks from assistant account executive to senior account supervisor. Mendez was elected treasurer of the New York chapter of the Hispanic Public Relations Association in 2014 and oversaw membership and professional development for the New York chapter. She also won several awards for multicultural PR for her work on behalf of Unilever, including a Public Relations Society of America award in 2012, Hispanic Public Relations Association awards in 2011 and 2012, and a PRWeek Award in 2008. "We were so lucky to have had Julie as such an integral, valued member of Tractenberg & Co.," said Jacquie Tractenberg, founder and president of the eponymous firm, to the HispanicPR Blog. "In such a short time, she made so many lasting contributions that helped the agency grow and evolve. She was a brilliant publicist, and had the unique ability to speak to a very targeted audience with authenticity and warmth. Her smile and positive attitude were absolutely contagious. We will miss her terribly. This is a huge loss for the agency and the industry as a whole." The Hispanic Public Relations Association’s New York chapter said Friday that it is establishing an annual scholarship in Mendez’s name that will be open to residents of New York, New Jersey, or Connecticut.